This is a set of ProTek R/C "TruCurrent" XT60 device and battery connectors. This set contains four female connectors. 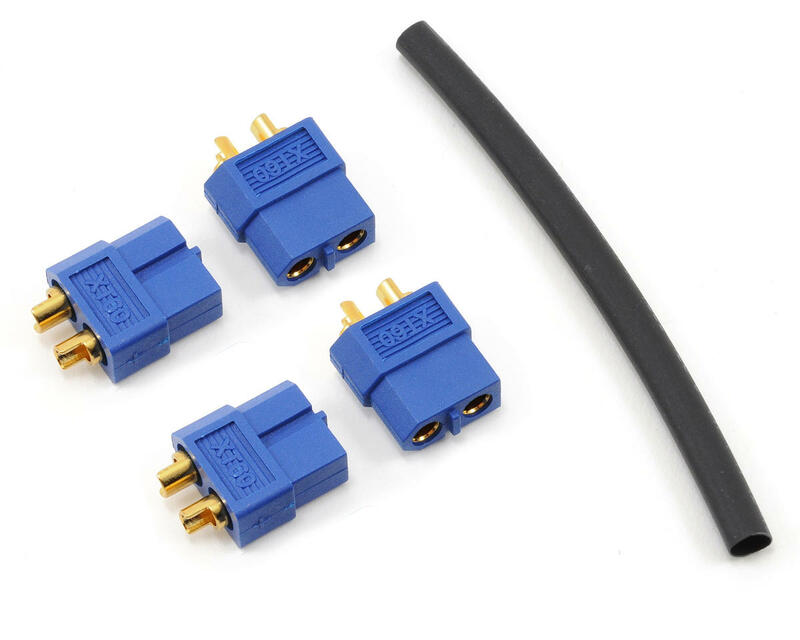 ProTek R/C "TruCurrent" XT60 Connectors have 3.5mm pins and are made from high-temp Nylon and gold plated spring connectors, both included in the injection mold at the time the connector is formed. 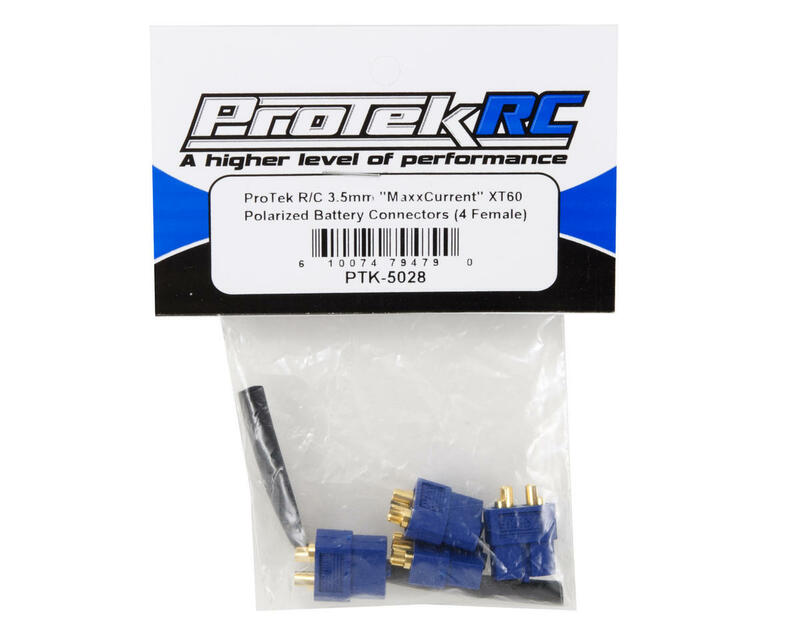 ProTek R/C "TruCurrent" XT60 connectors ensure a mechanically solid, low resistance, high-amp capacity connection and are the ideal power connector for high current applications. i love them and please dont ever run out of stock.